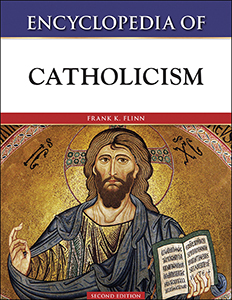 Encyclopedia of Catholicism, Second Edition covers the key people, movements, institutions, practices, and doctrines of Roman Catholicism from its earliest origins. Focusing on the living faith and its historical and social background, this eBook provides high school and junior college students, as well as the layperson, with the tools to help them understand this multifaceted religion. This encyclopedia also features numerous illustrations, a comprehensive introduction that provides an overview of the tradition, a list of popes and antipopes, a bibliography, a chronology, and much more. Frank K. Flinn, Ph.D., was emeritus professor of religious studies at Washington University in St. Louis, Missouri. He obtained a B.Div. from Harvard Divinity School and a Ph.D. in special religious studies from St. Michael's College, Toronto School of Theology.